Welcome new ICA four star partner, Staffmate Online! StaffMate Online brings bold new features and enhanced communication components to staff scheduling software. They offer fully integrated payroll solutions, as well as the most comprehensive and user-friendly geo-fencing systems to ensure your event staff is connected, accounted for, and safe. StaffMate Online is the 2019 Gala Awards Nominee for the "Best New Event Tech", OneWest Event Group's "Top 10 inspiring industry trends for 2019", a leading Catersource partner, exclusive NACE national partner, and now 4-Star ICA Sponsor and Supporter. They pride themselves on forward thinking solutions and have positioned themselves as the industry leader with both words and actions. 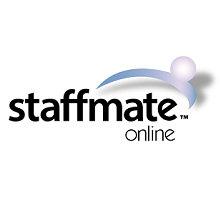 Their customer focused reputation for service, and a storied past filled with innovations that are now standard throughout our industry, provide the foundation for StaffMate Online to continue to serve the industry with passion, integrity and imagination. Call or email today to set up a demo and see why the top leaders and influencers in the industry are choosing StaffMate Online.